The Furious Flower Poetry Center is seeking submissions for its first annual Furious Flower Poetry Prize for Emerging Writers. A prize of $1,000 will be awarded to the winner and an honorable mention entrant will receive $500. Both poets will be invited to James Madison University for a public reading in April and their winning submissions, as well as those from a selection of finalists, will be published in Illinois State University’s Obsidian journal. The prize is open to poets who have published no more than one collection of poetry (excluding self-published collections and chapbooks). Visit our website for complete guidelines and access to the submission portal. The Texas Poetry Calendar 2019 seeks submissions of short poems about the culture(s), geography or iconography of Texas, broadly defined. We pay contributors for the work we publish. See this site for guidelines. The Gatewood Prize is Switchback Books’ annual poetry competition for a first or second full-length collection of poems by a woman. It is named after Emma Gatewood, the first woman to thru-hike the Appalachian Trail. Our definition of “woman” includes all women, including transgender and all other female-identified individuals. Visit the site for details. Iron Horse Literary Review is accepting submissions for the annual IHLR chapbook competition--this year, a brief collection of poetry. Entries must be between 28 and 36 manuscript pages. While individual poems in the chapbook may have been published elsewhere, the chapbook as a whole must be previously unpublished. The $18 entry fee includes a one year's subscription to IHLR. The winner receives 1,000 and 15 free copies. We'll announce finalists in late spring; the winner in early summer. 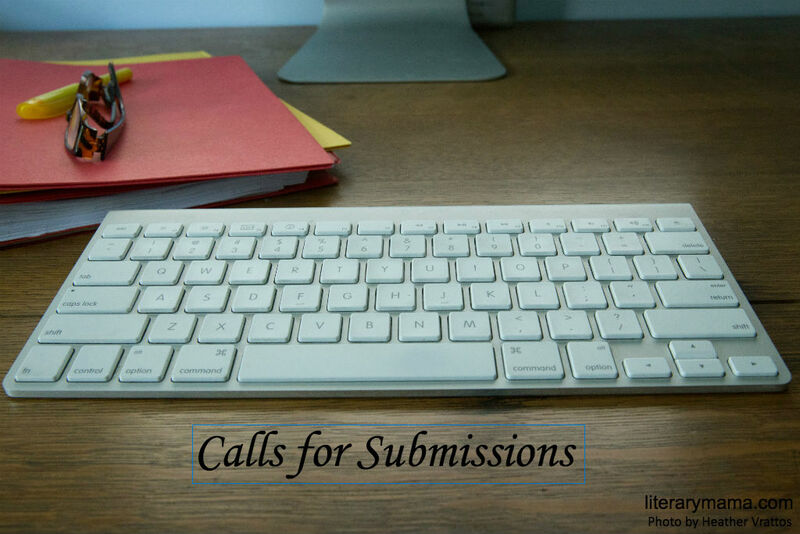 For specifics regarding submissions, visit our webpage. antiBODY, an online poetry anthology, seeks submissions of poems about the human body and the use of, connection to, and/or necessity for medical apparatuses in all their forms. Previously published poems are eligible if the writer maintains rights to the work. Submit 1–4 poems of any form or length and a short bio to antibodypoetry (at) gmail (dot) com (inquiries welcome). Shhhh… Murder! is an anthology scheduled for release in late spring and timed for summer reading. This anthology will feature cozy to cozy-noir stories featuring libraries and librarians. Extra points will be shamelessly awarded to writers with personal ties to libraries. We are looking for stories from 2500 to 5000 words, but will consider stories outside that range, at our discretion. Contributors will share equally fifty percent of the royalties received. We expect between fifteen and twenty stories to be accepted and are aiming at a volume length of around eighty-five thousand words, and around two-hundred and thirty pages—all dependent, obviously, upon the length of the material chosen. We will accept work previously published, provided it was not published after May of 2017, and that you hold the rights. Simultaneous submissions are fine, with the usual proviso that we should be notified should the work be accepted elsewhere, so that we may withdraw it from consideration. Submissions and questions may be sent to submissions (at) darkhousebooks (dot) com. TallGrass Writers Guild Anthology seeks poetry, short fiction and essays. Prizes: $1,000—$500 each for poetry and prose. Theme is: 'THE STARS’; Especially interested in poetry. Can be about the constellations; rites and rituals associated with stars; iconic symbols on flags; astronomy; astrology; celestial navigation; having stars in your eyes; ‘seeing stars’ from injuries; celebrities; the Oscars and Golden Globe Awards; film festivals; MVPs; Cooperstown; Rock ‘n Roll Hall of Fame; and more. We interpret themes broadly. Planned publication date: early fall 2018. Check out complete guidelines for details. Seshat is looking to release its second issue this spring. We are accepting poetry, fiction (up to 7000 words), creative non-fiction (up to 7000 words), art, and photography. No submission fee. All published pieces will be considered for Best of the Net nominations. We are mostly looking for young writers who are homeschooled or have been homeschooled in the past. However, all ages (13+) are encouraged to submit to this journal. Visit the site for more details. Chicken Soup for the Soul seeks true stories and poetry. We are looking for stories that contain a great piece of advice that you were given or advice that you gave to someone else. Whether the advice is about a little thing that improve your everyday life or major epiphanies that can change a life completely, we want to hear about them and how they made a difference. Payment: $200. Click here for details. Cowboy Jamboree Spring 2017's Issue theme comes from one of our favorite opening lines in the history of literature: "My Dog Died." The guy who wrote that is one of our favorite authors and if you got stuff like his, we'd like to see it, but any grit lit writing that circles around that theme is what we want. We've featured bestsellers, hall of famers, and book award winners alongside emerging writers in our rag. We dig short stories, creative non-fiction, flash fiction, vignettes/prose poetry, photography, and illustration. As always we like our stuff gritty and rough-edged in some way. See our website for past issues, submission guidelines, authors we dig, and style preferences. Ninth Letter seeks poetry and essays. Ninth Letter is published semi-annually at the University of Illinois, Urbana-Champaign. We are interested in prose and poetry that experiment with form, narrative, and nontraditional subject matter, as well as more traditional literary work. Please read the complete guidelines in the category to which you are submitting work. Payment: $25 per page. Details here. Angles is seeking poetry, fiction, essays, visual art, & photography from college-aged writers & artists. We especially want work that cares about language and pays close attention to it, uses form and structure purposefully, and isn’t afraid to take risks. We value traditions but are keen on challenging them. Send us your work on our Submittable site. Eye to the Telescope explores the theme of “Time.” The editor seeks poems about time travel, time machines, time lords, history-hopping, alternate timelines, clocks, white rabbits, the quotidian, and odes to years past and future. Send poems that cover a single life in a few lines, broad interpretations of the theme such as characters who have little time or eternity to live, or quantum theory and continuums. Any genre or form, writers of all backgrounds encouraged to submit. Accepted poems will be paid for at the following rate: US 3¢/word rounded to nearest dollar; minimum US $3, maximum $25. Payment is on publication. You can find our full guidelines here. Gyroscope Review, a quarterly journal of contemporary poetry, seeks contemporary poetry submissions in two categories for its Spring 2018 - Third Anniversary Issue. Our general category guidelines are available here. Our special themed category, in honor of our third anniversary, is seeking poetry linked to the theme of "threes." Those guidelines are available here. Ponder Review is accepting submissions of fiction, nonfiction, poetry, flash fiction, and visual art for Volume 2, Issue 1. We want your best writing on any topic! We have a low $2 submission fee and are a non-paying market. Contributors receive one copy of the issue in which their work appears, and everyone who submits receives discounted single-copy and subscription rates. Submit here. 400 and Falling Press seeks submissions of poetry, fiction, visual art, creative non-fiction and criticism for the first issue of its Journal of the Arts and Literature. Submission guidelines available here.